A day after they were one out away from being eliminated from the Midwest League playoffs, the Lansing Lugnuts instead knocked off the formidable Dayton Dragons, 4-3, in Game 3 of their first-round series tonight. 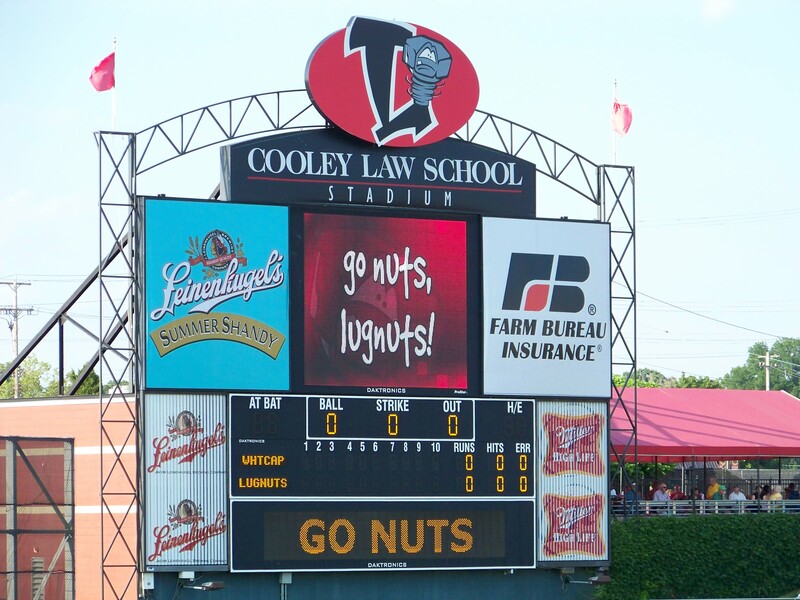 The Lugnuts will face the Fort Wayne TinCaps in the Eastern Division finals. That means this catchy tune will be played at Cooley Law School Stadium at least one more time this year. Earlier today, the Kane County Cougars and the Quad Cities River Bandits played Game 1 of the Western Division finals in Geneva, Ill. The River Bandits won easily, 7-0, behind a strong pitching performance by starter Trevor Rosenthal, who threw a complete game. 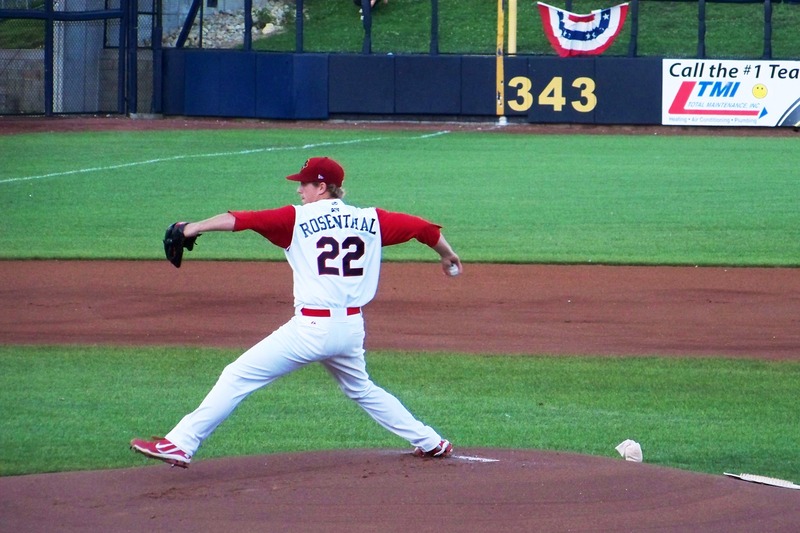 Rosenthal gave up only four hits while striking out three batters. Quad Cities RHP Trevor Rosenthal pitches during this year’s Midwest League All-Star Game. Game 2 starts at 2 p.m. in Davenport, Iowa, tomorrow. I’ll be there at Modern Woodmen Park and, as usual, I’ll be tweeting updates throughout the game. This entry was posted in 2011 All-Star Game, 2011 Playoffs, Dayton Dragons, Fort Wayne TinCaps, Kane County Cougars, Lansing Lugnuts, Midwest League, Quad Cities River Bandits. Bookmark the permalink.